Ayudante is a very tall, pretty dapple grey approved PRE gelding, who has a heart of gold. 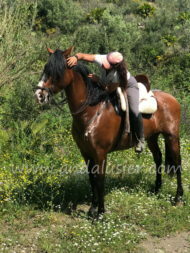 He loves to be around children and is stabled at a beautiful yard in Marbella, where he is being spoilt and well treated. 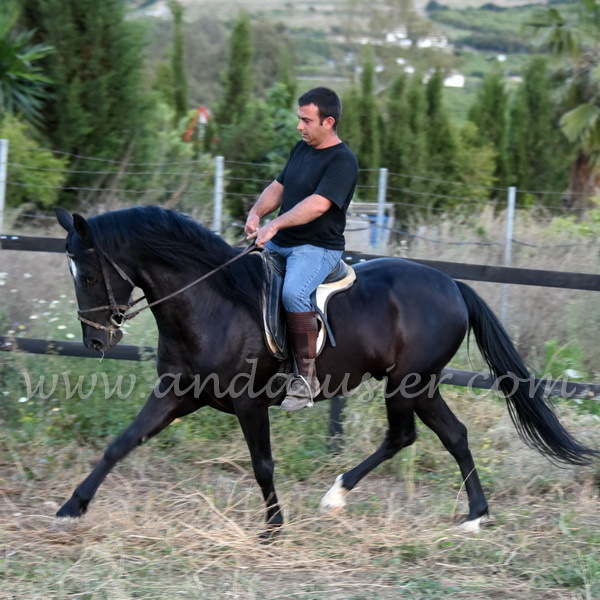 He also hacks out a lot as well with children as with beginners, has been to beach rides, ferias and romerias. He has a basic schooling in the riding arena, where is sa brilliant school master. His pedigree is very good, showing brandings of Romero Benitez, Yeguada Militar, Escalera and some Cartujano lines. Ayudante has a few melanomes.